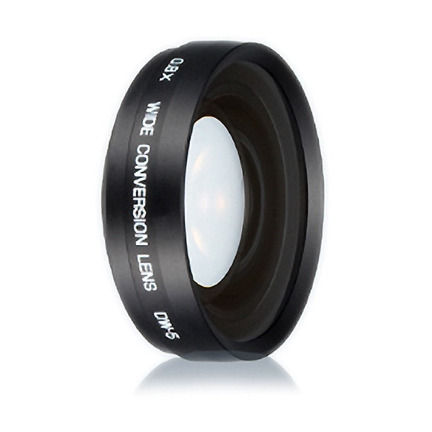 The DW-5 0.8x Wide Angle 22mm Conversion Lens (Black) from Ricoh provides your 500G Wide Camera with 0.8x magnification, that makes it even more suited for wide-angle shooting. Whether you're shooting landscapes or working in tight spaces the DW-5 opens up the scene and allows you to get more into your frame - simply attach the conversion lens and start shooting. Just be sure to view the image on the LCD monitor as the viewfinder does not show the altered shooting range of the conversion lens. Having 0.8x magnification means your focal length will be transformed to the 35mm equivalent of a 22mm lens - opening up your camera's field of view for a much wider perspective.